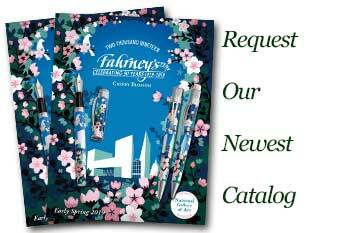 Order your Pilot Vanishing Point White Fountain Pen today from FahrneysPens.com. Fine Pens, Refills & Luxurious Gifts – great prices & fast shipping. A rare, classic Pilot Vanishing Point fountain pen returns! 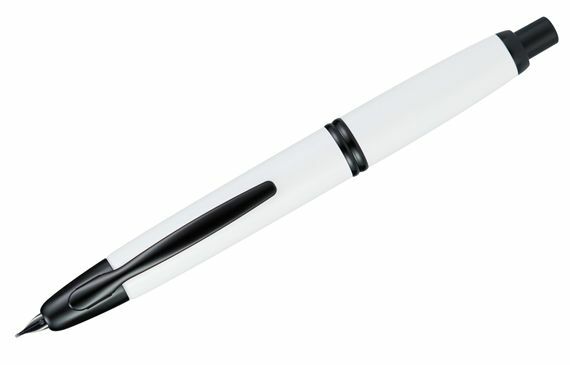 A coveted model first produced in the mid-1990's, Pilot now relaunches the all-new White Vanishing Point fountain pen with black accents - a look that will capture attention with its unique style. The world's most popular retractable fountain pen is a product rich in both history and outstanding performance. Its brilliant design and ingenious technology make it a pen you'll want to use every chance you get! The Pilot Vanishing Point White Fountain Pen features the world’s most popular retractable fountain pen black/ion plated 18K gold nib. The retractable push-button mechanism prevents leaks and protects the nib. The Pilot patented, one-handed push-button mechanism activates the point – click again and the nib retracts completely into the barrel after use, protecting the nib and preventing leaks. The firm Vanishing Point 18K gold nib is one of the clearest writing nibs on the market, available with extra fine, fine, medium or broad point. Cartridge/converter fill.